I just wanted to let you all know that I have a new photo in this month's Agile Rat Photo Contest. If you could please vote, I would truly appreciate it! Don't forget- If you vote, you can get 1 extra entry each day that you vote (On ANY giveaway.) Just leave a comment on the post saying "I voted for you in the Agile Rat Photo Contest on 6/11" or something similar. This month's prize is for a see-saw and 2 cute tunnels :)! And of course, If I win I will post pictures, and a video of the ratties using their prize. Hi! I am visiting from the hop! I am your newest follower and would love it if you would follow me back! thanks so much! You have my vote, good luck! aww, how cute!! I changed the desktop background to your picture on my niece's computer(with her mother's permission of course!) - wonder if she'll notice! 10% of voters have voted for this photo. I voted! The see-saw would be awesome :) GL!! 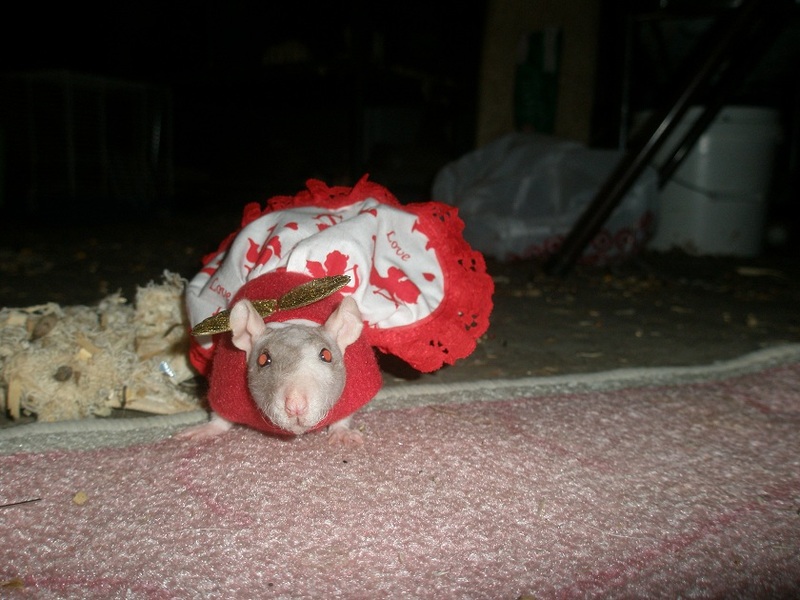 Hey Amanda, I voted for your adorable rattie (you are currently tied for 2nd place with 10% of the vote - closing in on the front runner who is only 1% a head at 11%. You are definitely a major contender! Good Luck! You are the Leader of the Pack today! Yay!! I voted today. 12% of voters have voted for this photo. They all look so cute. I tried dressing my dog up for Halloween. He didn't like it at all LOL. WOW! Thank you so much everybody! I can't believe Gumby's in the lead! Thanks so so much! I truly appreciate it!